As soon as you land and step off the plane you will notice the difference in the air. The coast, mountains and the surrounding waterways make everything naturally beautiful in landscape. I was also amazed by the city itself and how easily it is to explore. 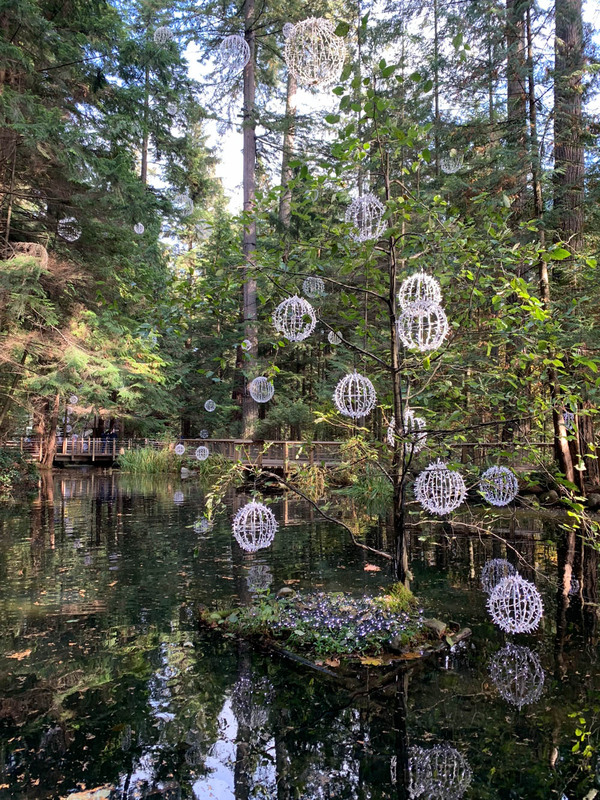 Close by is Whistler a world famous ski destination and a short drive from Vancouver to make it the perfect combo of a trip! I visited in the fall and the beautiful colors made for such a stunning surrounding and the perfect temperature in both locations. 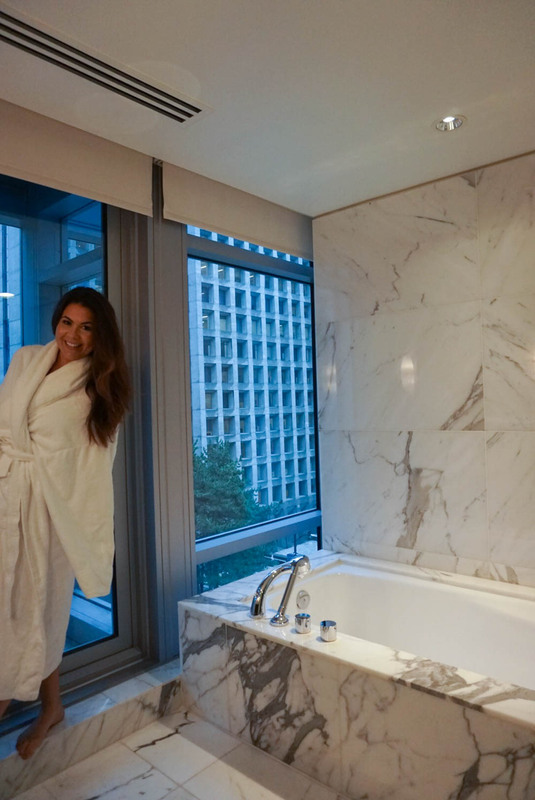 I put together some of the best activities, restaurants and hotels in a day by day itinerary to make your trip memorable. Arrive into Vancouver Airport | A meet and greet will be arranged with a private transfer to your hotel. Shangri La Vancouver – A urban sanctuary perfectly located in the heart of downtown with a sophisticated mixture of wood furnishing and comfortable atmosphere. Great for families and business travelers. Rosewood Hotel Georgia – A historic retreat with a mixture of tones from the roaring 20’s and a contemporary design. They are known for their luxurious black marble bathrooms with amazing white tubs. If you want the true Forbes 5-star experience in a meticulously restored hotel, stay here! Fairmont Pacific Rim- Known for it’s art, fashion and music with a lively feel in the lobby and live music daily. If you want great bay views, this is the place to stay. Depending on what time you arrive, I highly suggest taking some time to explore the city. Everything is in walking distance from your hotel. 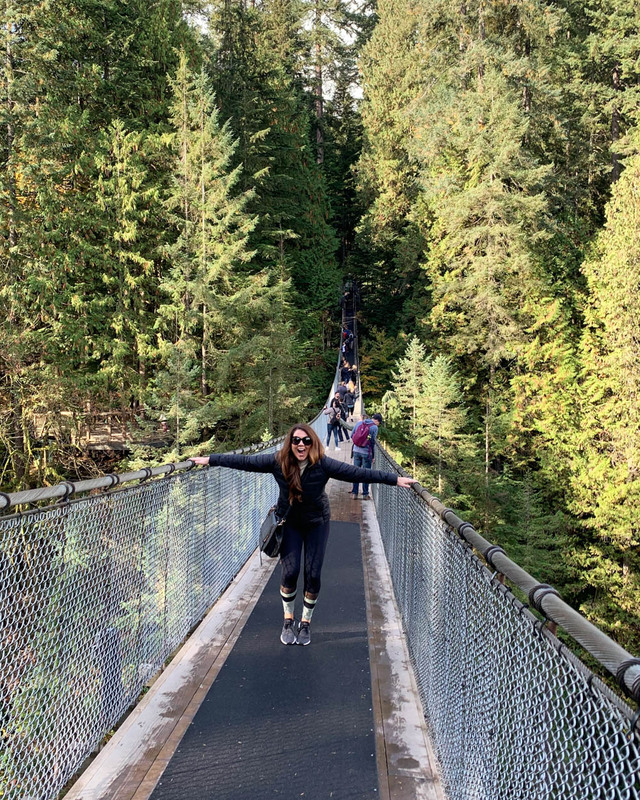 Did you know LuLuLemon started in Vancouver? Their flagship store is right downtown! FlyOver Canada Experience | FlyOver Canada utilizes state-of-the-art technology to give you the feeling of flight. Great way to welcome you to Canada and see the beautiful nature across this country. The experience is about 30 minutes long total. 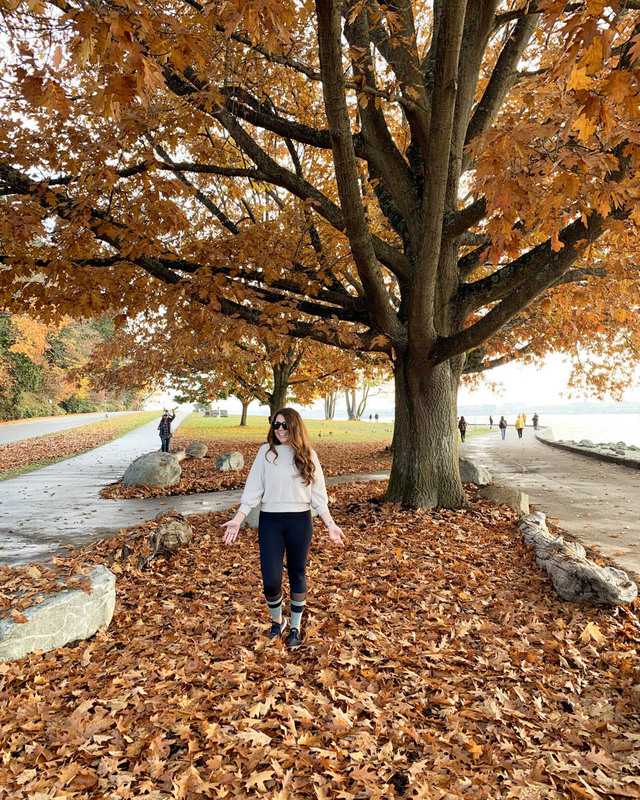 Tour of Stanley Park and Totem Poles | Stanley Park is a 405-hectare public park that borders the downtown of Vancouver in British Columbia, Canada and is almost entirely surrounded by waters of Vancouver Harbour and English Bay. Rent a bike and bike around to explore. 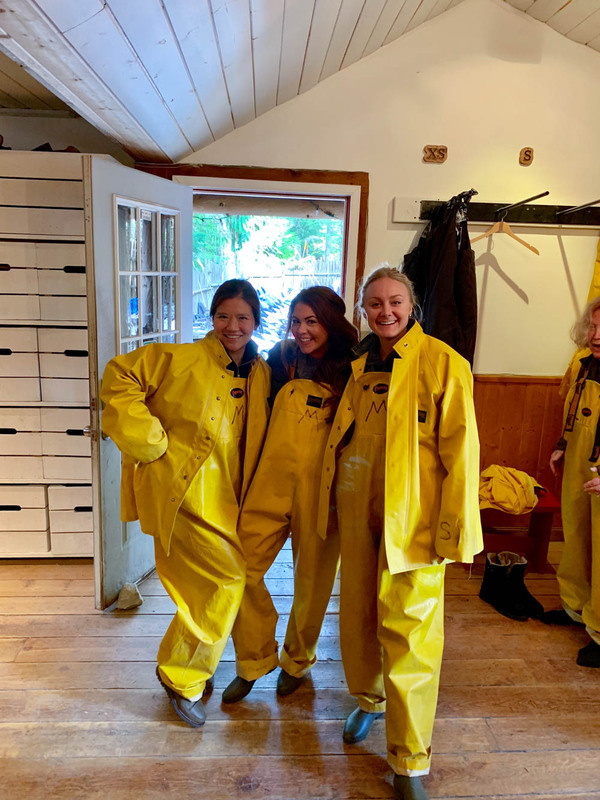 Gastronomic Granville Island Tour with Vancouver Foodie Tours- for lunch | Granville Island is a peninsula and shopping district in Vancouver, British Columbia, Canada. It is located across False Creek from Downtown Vancouver, under the south end of the Granville Street Bridge. The peninsula was once an industrial manufacturing area, but today it is a hotspot for Vancouver tourism and entertainment. The area has received much acclaim in recent years for its buildings and shopping experience. The area was named after Granville Leveson-Gower, 2nd Earl Granville. 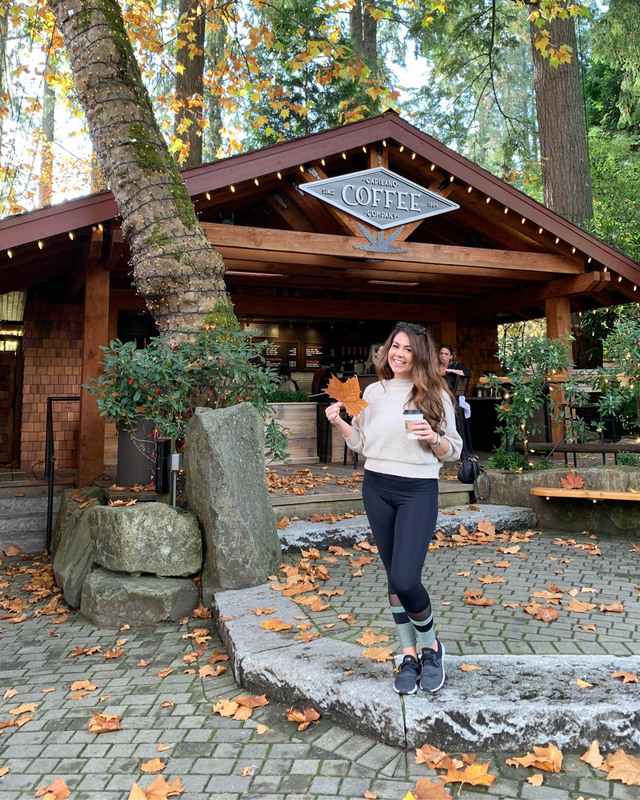 This walking tour will take you through the Market and locals restaurants to experience some delicious food in Vancouver. Sky Helicopter Experience | TOUR INCLUDES: 30-minute helicopter flight and Tour narrative provided by your pilot. 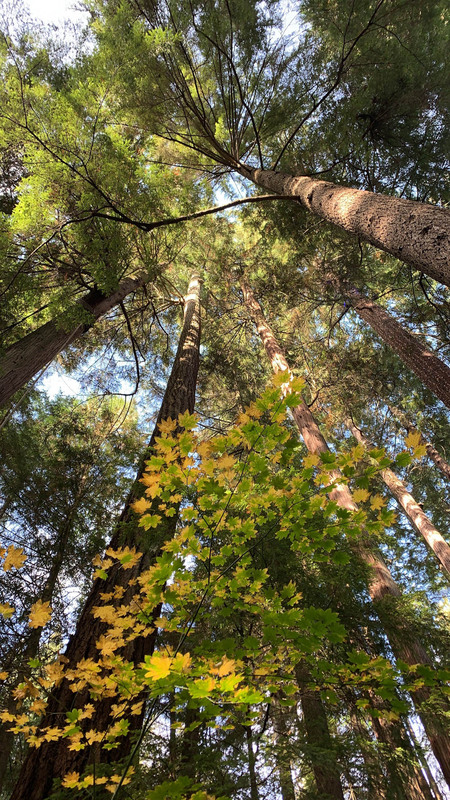 See one of the crown jewels of BC—the beautiful North Shore and famous Sea to Sky. This tour will lift off from Vancouver Harbour and fly up past the majestic North Shore Mountains. 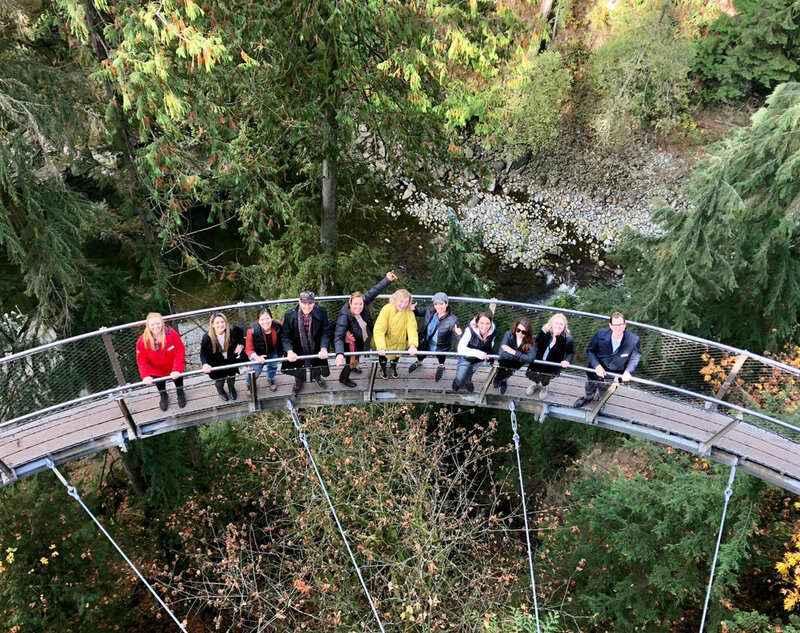 Take in the scenic views of Georgia Strait and the Sea to Sky corridor before returning past the Lions Gate Bridge and Stanley Park to the Downtown City Centre. 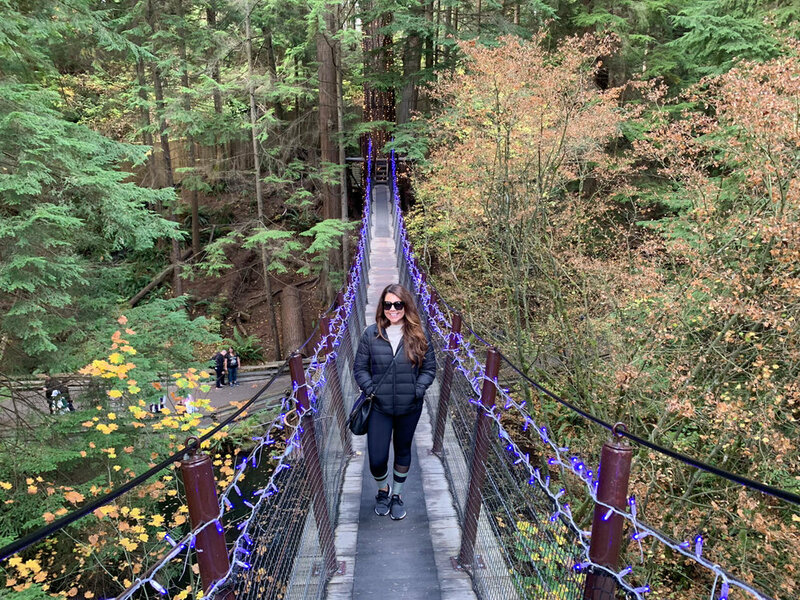 Capilano Suspension Bridge | The Capilano Suspension Bridge is a simple suspension bridge crossing the Capilano River in the District of North Vancouver, British Columbia, Canada. The current bridge is 140 metres (460 ft) long and 70 metres (230 ft) above the river. It is part of a private facility with an admission fee, and draws over 800,000 visitors a year. Fairmont Chateau Whistler- A classic ambiance with a modern alpine setting, located right on the base of Blackcomb Mountain. 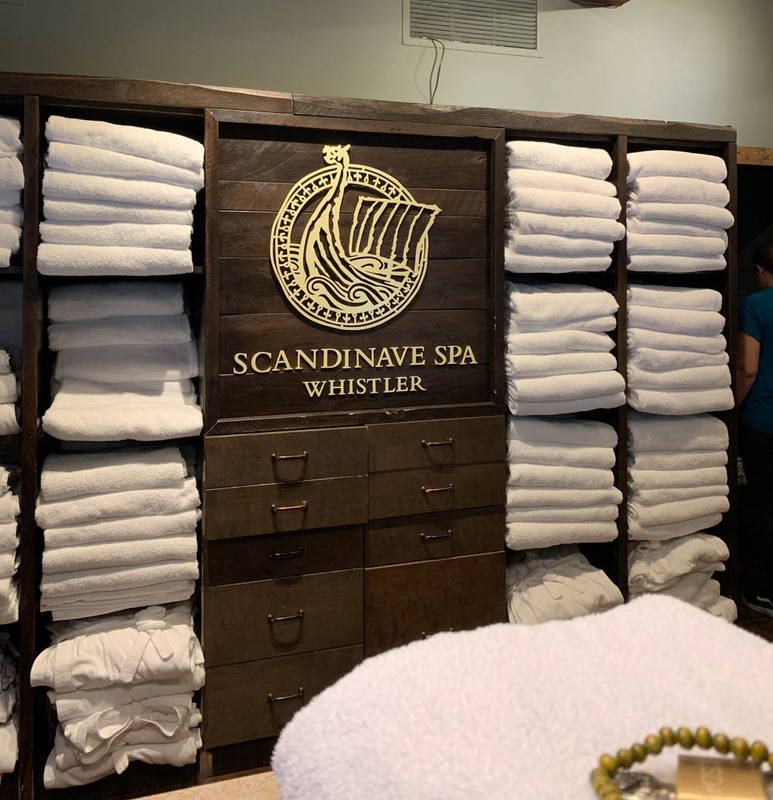 Four Seasons Whistler – Located right next to the Fairmont with intimate lodge feeling and host to the largest guest rooms and suites in all of Whistler. ATV Adventure Canadian Wilderness Adventures- ATV Tour OR Audain Art Museum OR Squamish Lil’wat Cultural Centre. 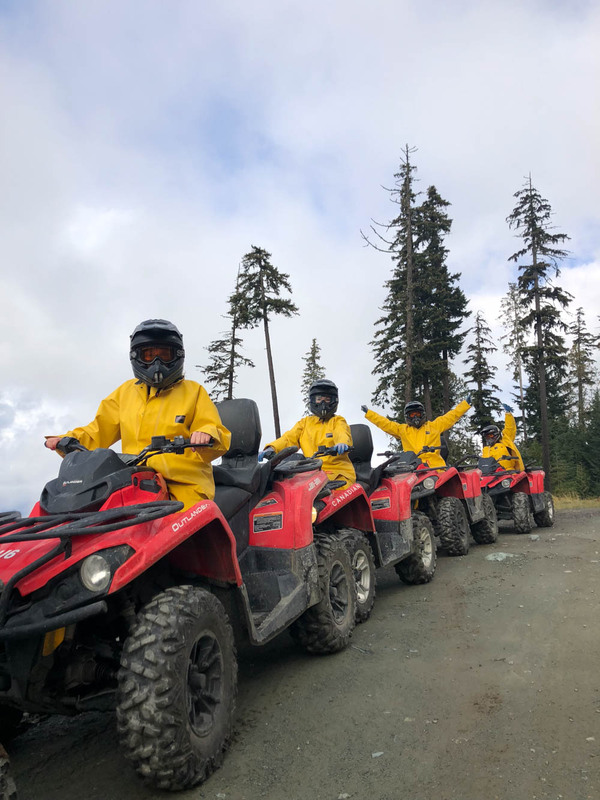 ATV Adventure with Canadian Wilderness Adventures departs Discover Blackcomb Mountain the ‘Canadian’ way on our most popular ATV Whistler adventure. 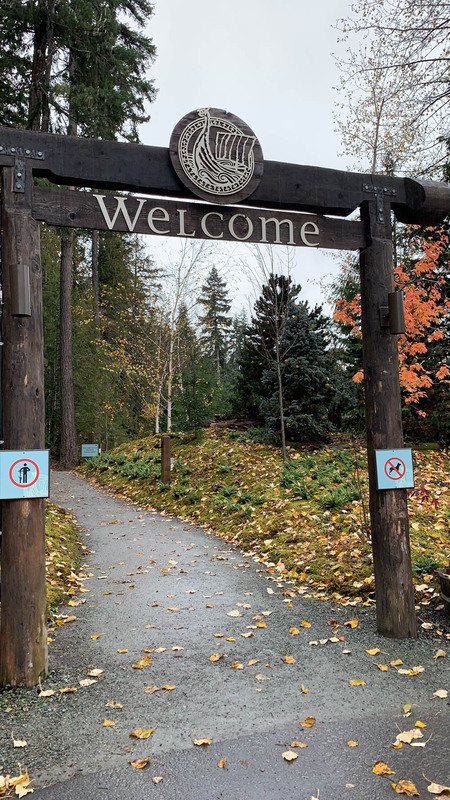 Enjoy breathtaking views of the Whistler Valley and snowcapped peaks of the Coast Mountain Range. Test your skills in our single track terrain park (optional) while you explore a network of wide mountain trails ascending to Blackcomb’s beautiful alpine. A great mix of exploring, sightseeing, and adventure; don’t forget your camera! 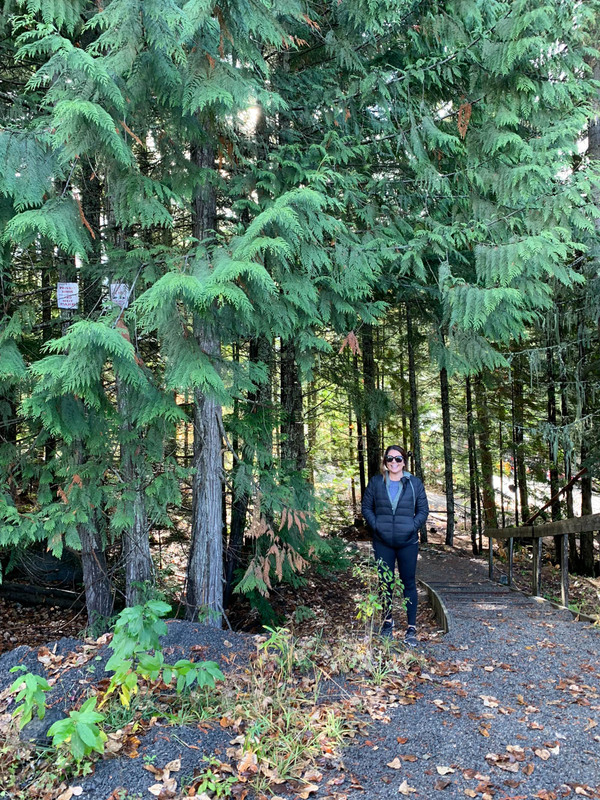 For those who do not want to ATV you can enjoy a visit to the Audain Art Museum OR Squamish Lillooet Cultural Centre. Transfer back down to the Vancouver airport to depart in the afternoon.